Traveling on a subway can be a somewhat disconcerting task. Because you are traveling underground and not seeing any landmarks or distance passing by, your brain has a harder time registering that you are, indeed, moving. Besides this, the cars tend to be rather dark and depressing. 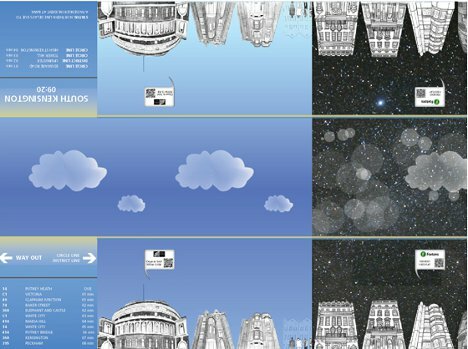 A group of British design students has collaborated to create a digital “sunroof” for subway cars that would reconnect travelers with their surroundings. 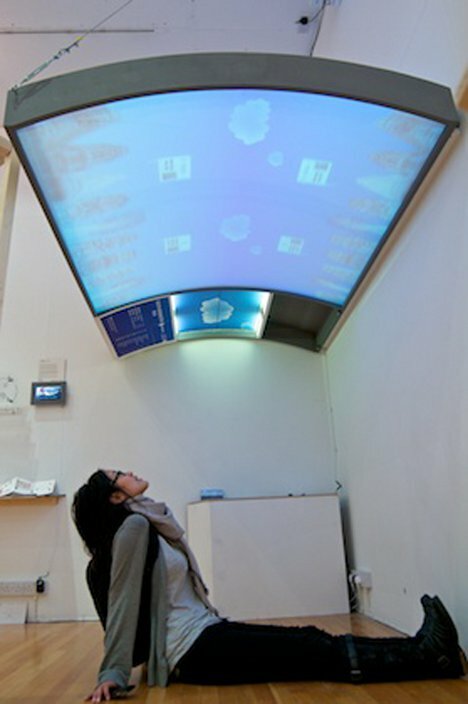 The screens would display animations of passing landmarks along with weather information for the outside world. A computer on board the train would store the vital information and update it via wi-fi. 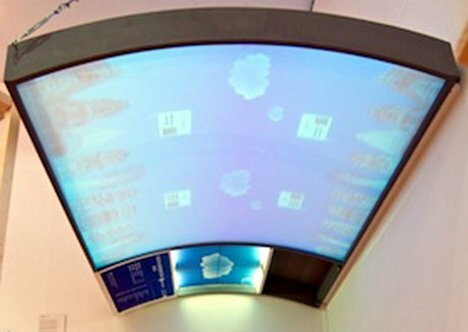 As pictures scroll by on the “sunroof,” unobtrusive ads with scannable QR codes are displayed against the artificial skyline. Advertisers would get a completely new way to reach commuters, while commuters would get a welcome distraction from the questionable smells and worrying sounds typically encountered on the subway. See more in Mass Transit or under Transportation. August, 2012.